The best-selling Equinox hypoallergenic alternative down comforter on Amazon is only $28 and nearly 1,500 reviewers deem it worth every penny. If you’ve never opened a vacuum-sealed alternative down comforter and you order the Equinox Comforter on Amazon, you’re in for a treat. Watching it quadruple in size in mere seconds was the highlight of my morning. Later that night, I realized why this $28 comforter has Amazon’s Choice status. I’m not allergic to dust mites or anything, but if I was, I’d also take comfort in the hypoallergenic claims. All 13 reviewers who mention having allergies said they slept symptom-free. Most of the other nearly 1,500 reviews are also glowing. Its 1,174th ranking in Home & Kitchen — which has around 70 million items — isn’t too shabby either. 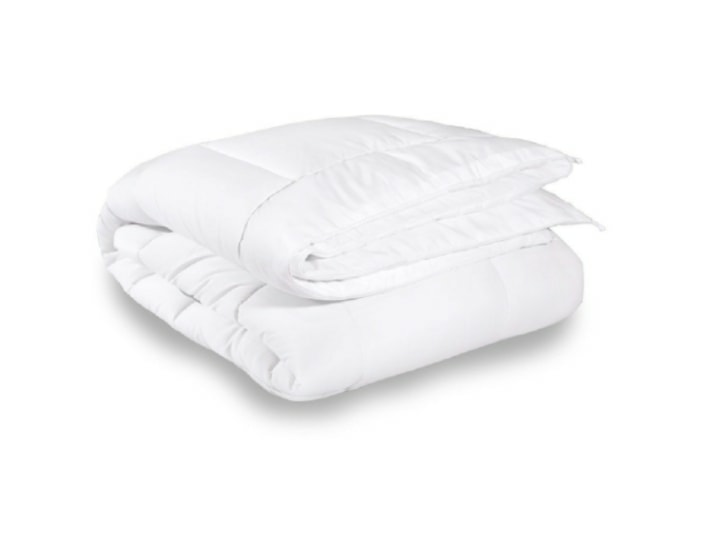 At $28 ($26 if you use the added coupon at checkout) for the queen size, it was also about one-sixth the price of the duck feather down comforter I got on sale from Bed Bath & Beyond in December. It's also eligible for Amazon Prime, so two-day shipping is free. I do prefer the poofiness and volume of my duck down comforter. But, if I had ordered the Equinox first, I probably wouldn’t have even messed around looking for the real deal. In addition to price, the machine-washable Equinox is more practical than my dry-clean only duck down comforter. If for some reason you’re not happy with the Equinox, all you have to do is leave a review and call out “Alice,” who signed the card that came in the package. I can’t say this comforter has helped me win the Powerball and made me pretty rich. But it has helped me save money and kept me pretty warm. For more duvets and comforters we love, check out TODAY Home's round-up of the best places to buy bedding online.